Hi there, my name is Celeste from a Company called Alive Strategic Development based at Serendipity in Mbabane. I do Biofeedback Therapy (Stress Therapy) and Wellness Counselling using a SCIO Machine. This is my Self Help Column. Please ask your question in the box below and click the submit button. Hi Celeste, you recommended that someone give their baby rooibos tea with honey instead of sugar. There are many people who would not agree with you because it is widely recommended in many countries that one does not give any child under the age of 1 honey, Are you qualified enough to give such advice? Hi Concerned Mother - It is safe to give children, as per the info, some mothers do use it for babies who have gastric complaints and no ages were given. It is not recommended to give babies below one year sugar or honey,hope this clarifies your question. HI there, alot of people do use ritalin for their children who have been diagnosed with ADD/ADHD. Ritalin is a drug like all other drugs and has side effects. I recommend that you check properly with your doctor who prescribed ritalin as to the side affects and what you could use for your children as an alternative method to using drugs. Also check and see if your children are getting adequate doses of omega 3's (Brain Food). Hi Celeste, have been trying to get into shape before the festive season - any tips? Dear XSABZDRV, the National Association of Self-Esteem defines it as "the experience of being capable of meeting life's challenges and being worthy of happiness", It is also the ability to trust your own being to be life affirming, responsible, constructive, loving and trustworthy. Its about what you think of yourself and not what anyone else thinks of you! So to get your daughter to build up her self esteem you need action - you need her to start loving herself and doing things which make her feel good rather than concentrating on how she feels at any given moment. Here are a few steps of action that she might take to get her on her way according to 'Madaleine Helm' of AIM:- 1. Learn a new skill, this will increase her belief in her ability to learn. 2. Notice what she is good at and what makes her feel good about herself and let her do more of it. 3. Let her judge feedback she gets from people she respects, this will help her to expand her self image and understanding of herself. 4. She needs to set small goals and work towards achieving them, every accomplishment even tiny ones will build her belief in herself as a capable human being. 5. Encourage her, get her to take inventory of all she has already accomplished no matter how small and not be too hard on herself. 6. Notice the failures too and don't let her make excuses for not succeeding, get her to aim at doing better next time. 7. She needs to make commitments that she can keep. 8. Let her surround herself with positive people that believe in themselves and will be honest about her strengths and help her to work through her weaknesses. 9. She needs to avoid negative people during this time of growing, these people are not worthy of wasting energy on as they make you feel small and self conscious. So heres to getting busy with your wonderful life and doing what you love and loving what you do! Hi Celeste, have been told that Sage tea is a good herbal remedy that can be used to to help with depression? There are a number of natural remedies that can be used to help with depression, but it is always advisable to get advice from your health care professional before taking any alternative methods especially if you have been prescribed medication by your doctor. Sage tea is excellent as a nerve tonic and is used in the treatment of anxiety and depression. Hi Celeste, was wondering if Biofeedback can help children with learning difficulties? Yes biofeedback is a wonderful therapy to use with children for learning difficulties or any other imbalance from anxiety or nervousness to aggression and irritability. It is sometimes difficult to find out what the problem is with children as they are unable to explain how they feel, biofeedback has a number of energy balancing therapies suited to children, like Virtual Harmonic Therapy which helps with balancing left and right brain and NLP Therapy (Neurolinguistic Therapy) which assists children with any imbalances or nervous conditions. Trying to shut the mind down is one of the most difficult things to do as the brain is continuously processing thoughts and filing through memory all the time. I find the most practical way is to find a quiet place and try to focus, either focus on a black spot or a white spot, some people find it relaxing to light a candle and focus on the flame. Allow the body to slowly start relaxing until all you can see is the point of focus and hear the sound of yourself breathing. Practice makes perfect, so if you find this difficult at first try and see if you can shutdown for a few minutes until you find it easier to go for long periods of time. Enjoy finding that inner peace. Hi Celeste, have been told that Rooibos Tea is good for kids - can I also give it to my baby? Rooibos Tea is safe to give children as it has no caffeine, some mothers use it if their babies have milk allergies. It is aslo used for mild gastric complaints with babies that have colic. Just make sure that you do not put any sugar in the tea to make it sweet, use natural honey instead. Hi Celeste, have been suffering with heartburn and wondered if there are any natural remedies to used instead of antacids? If you suffer from heartburn it is vital to check with your local health practitioner to find out the cause before taking any medication. Usually people with heartburn have uric acid in their system. Tissue Salt No. 10 can be used as a natural remedy and also Parsley is a wonderful herb to use in a tea to break down uric acid in the system. Hi Celeste, I have been told to use Bee Propolis as a natural remedy for skin conditions like eczema? Bee Propolis is manufactured by bees from plant resins to keep their hives free of bacteria, fungi and viruses. It is fast becoming recognised as a natural medicine with a number of healing properties including treating skin complaints such as eczema and psoriasis. Hi Celeste, I have lots of mint growing in my garden, does it have any medicinal properties? Yes, mint is a wonderful herb to have growing in the garden. It is widely used as a culinary herb and flavourant. It can also be used as a natural remedy to relieve indigestion and nausea. Menthol helps kill bacteria, parasites and viruses in the stomach and balances the intestinal flora. It would be wonderful if every family had a garden with a medicinal herb patch! Hi Celeste, is biofeedback therapy effective in picking up poor circulation and foot ailments? Yes, biofeedback therapy can detect if there is a specific point on the feet which has been affected by corresponding parts of the body. Using Reflexology - the practice of applying specific points on the feet to influence the health of corresponding parts of the body and stimulating these points, waves of relaxation are sent throughout the body. Hi Celeste, does ADHD affect adults and can this be picked up on the SCIO machine? Yes,(ADHD)Attention Deficit Hyperactivity Disorder can affect adults and the SCIO machine can pick this up. ADHD is often missed by most health professionals as the symptoms of anxiety and stress levels change in adulthood, and there is not enough information available on the subject. The hyperactivity could be channelled into behaviour such as road rage, speeding, extramarital affairs, job-hopping and hobbies that push up adrenaline levels according to a study carried out by the health industry. Hi Celeste, can hormones be affected by stress? Yes, during times of stress the body's mechanism for functioning normally and controlling hormone levels can become out of balance. It is important to know your body (self love) always check with your local Health Practitioner if you start feeling overemotional or overly aggressive. This is the body's way of telling you that something is not feeling right. Hi Celeste, do children suffer from stress? Yes, children often suffer from GAD - General Anxiety Disorder, which is characterized by excessive, exaggerated anxiety and worry about everyday life events or a particular issue e.g health, family, or school. Biofeedback Therapy may help with chidren's stress by helping to balance and control the muscle tension and nervous reactions which often accompany many of the symptoms of GAD. Children often do not know how to express themselves and the SCIO machine is able to pick up on unexpressed emotions causing worry and anxiety. Dear In Pain - "we are what we eat", the most important thing a person can do to find relief is to assess what you put into your mouth and go back to nature "Go Organic". There are a lot of herbal remedies to use which can assist with pain relief. 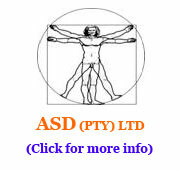 Consult a homeopath or nutritionist dealing with natural herbal remedies. Hi Celeste what causes IBS? IBS - Irritable Bowel Syndrome is caused by a stressed digestive system. Symptoms can vary but usually there is abdominal distress, bloating, flatulence, nausea, headaches, fatigue, diarrhea and anxiety. This can cause a lot of discomfort and should be checked and montiored by a health care professional. Hi Celeste, what can I eat to relax my nervous system? Celery is a wonderful herb to snack on, it sedates the nervous system and also helps to rid the body of uric acid. It is also used for slimming and liver ailments. Before you introduce any new foods into your diet, always check with a healthcare professional that you are not sensitive to them. Hi Celeste, I have been diagnosed with parasites and told that they are causing my headaches and tiredness is this possible? Exhausted. Hi Exhausted, it has been found that 85% of the world's population is infected with parasites which can cause flu's and colds, migraine headaches, cysts, neurological disorders, anemia, chronic fatigue and general tiredness. It is important to discuss the deworming process with a health care professional. This process should include the entire household including staff and pets so that you do not reinfect each other. It is recommended that this process be done twice a year especially if you have daily contact with animals and children. Hi GP, depending on the type of chemicals you have been exposed to you may want to find out just how toxic they are from a chemist, but otherwise you can take a bath with Epsom Salts (Magnesium Sulphate). When absorbed through the skin, as in a bath, it draws toxins from the body, sedates the nervous system, reduces swelling, relaxes muscles and is a natural emolient and exfoliator. So the next time you take a relaxing bath, add 1 cup of ordinary Epsom Salts into your bath water and just relax and destress while your body is soothed from the stresses of the day!